Registration opens April 26, 7:00 am. Athletes must have previous National Championship biathlon racing experience. Registrants may only join with permission of the Head Biathlon Coach. Participants must have a valid Possession and Acquisition Firearms License (PAL). Team Snap + Email + Online personalized training plans through trainingpeaks.com. This program is designed for Youth category athletes and older who have completed their primary schooling. 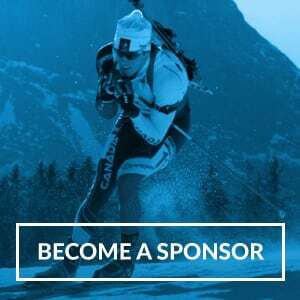 The aim of this program is to allow athletes to train for biathlon while attending post-secondary institutions or while living in the Calgary area. This program is not for athletes wishing to train for biathlon on a recreational level. Athlete objectives should be aiming towards qualifying for provincial and national teams. Individuals will train 500+ hours per year, training plans will be adjusted to accommodate work/school. Athletes in this program will be expected to pursue full time training in the summer months. This program will train jointly with LC-Biathlon in order to facilitate school and/or work. LC2 Biathlon is coached by National Coaching Certification Program (NCCP) Competition Introduction or Competition Development coaches following the Biathlon Canada Long Term Athlete Development (LTAD). Information for parents is available here. The lead coach of this program is Tyson Smith (NCCP# 5640983).